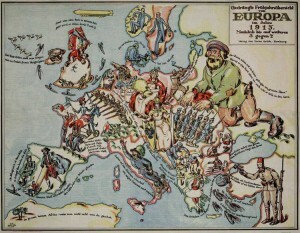 The shapes of countries, sometimes accurate and sometimes twisted and bended, are typically overlaid by images of people, dressed in military uniforms (especially in World War I-era maps) or wearing national costumes, such as the traditional fez headgear for Turkey in the two maps on the left (produced in 1914 and 1915, respectively). 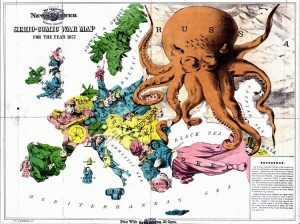 The stereotypical characters inhabiting these “comical” maps are engaged in equally stereotypical pursuits. 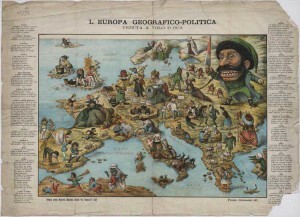 In some cases, recognizable historical characters are depicted, such as the Russian Tsar Nicholas II, depicted on the map from 1899 (on the left). 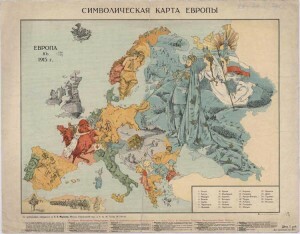 The Tsar also makes an appearance in the Russian map reproduced above, where he is viewed in much more positive way, accompanied by what appears to be a depiction of Mother Russia, carrying an imperial flag. Other maps in this genre are inhabited by animals somehow associated with the country in question by the map creators. 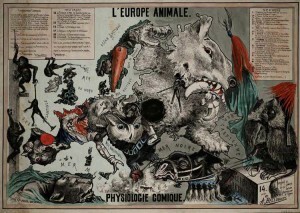 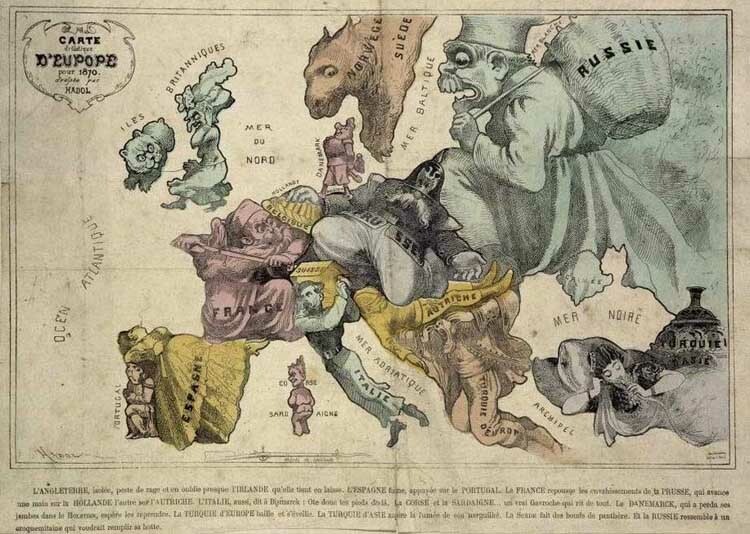 In some cases, such animals represent “psychological” stereotypes (as in the 1882 map on the left), while in other cases the association is symbolic or even purely linguistic. 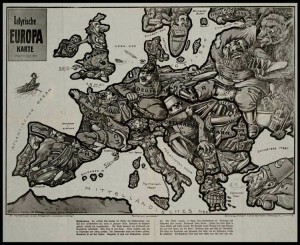 For example, the French map reproduced above indicates the dual nature of the Austro-Hungarian Empire by a two-headed eagle. 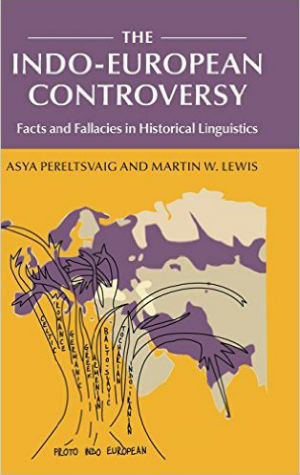 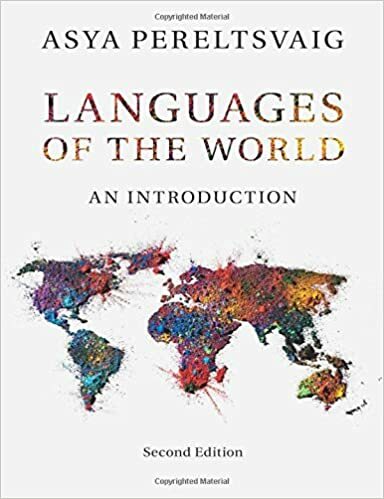 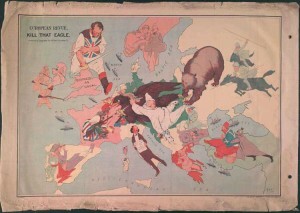 In the same map, Turkey is represented by a bird that, through an accident of linguistic history, became associated with that country. 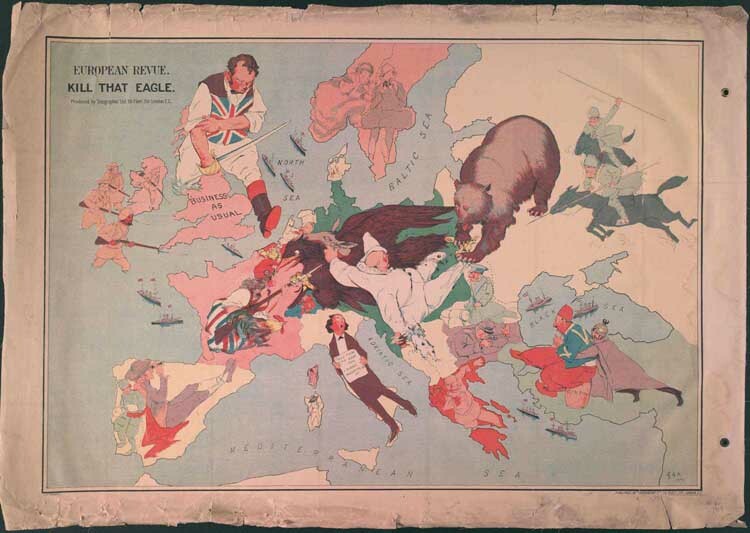 The bird species traditionally consumed by Americans on Thanksgiving is native to North America, yet the early European settlers confused it with another bird—the pearl-hen—that is indigenous to Turkey and was thus often referred to as “turkey bird”. 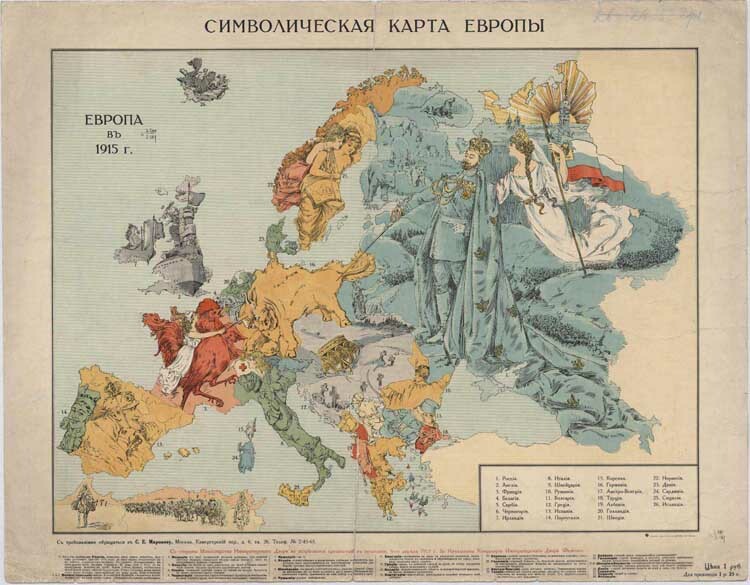 Another curious story explains why the Russian map above uses a rooster to symbolize France. 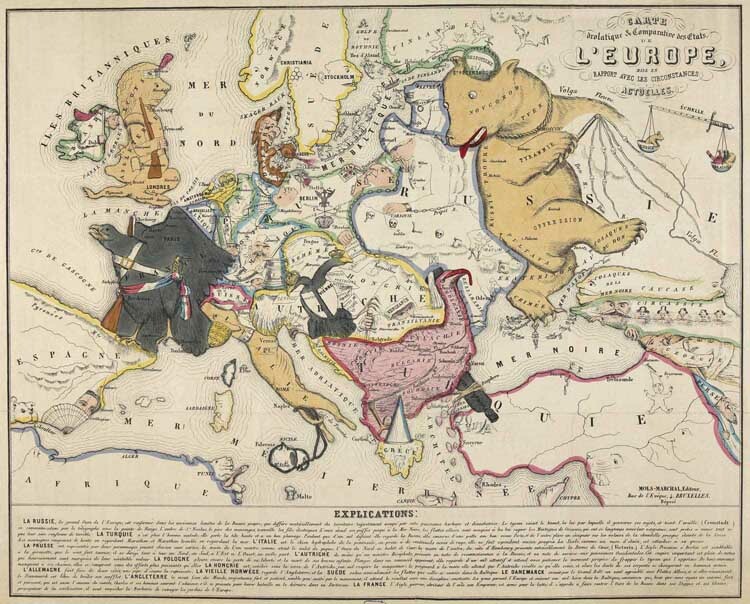 The original symbol of Gauls in France was a horse. 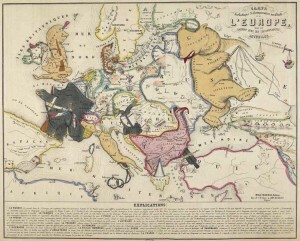 The association of Gauls and roosters arose during the Renaissance period, when the Latin word Gallus ‘Gaul’ became associated with a Latin homophone, gallus ‘rooster’. 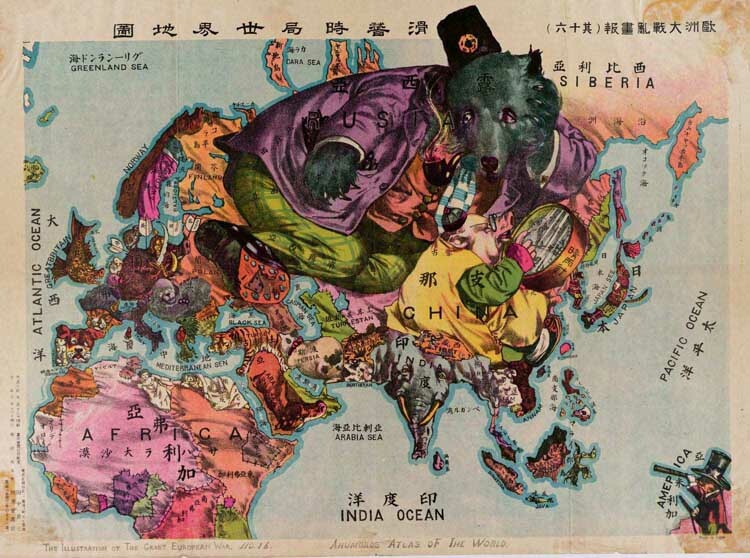 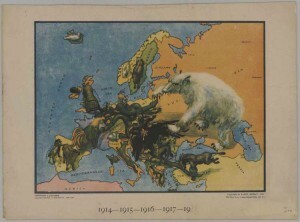 The Japanese map created in 1916 (on the left) overlays India with an elephant and Turkey with a tiger. Russia is depicted, following tradition, in the form of a bear, while China is represented by a fat pig with a clock. 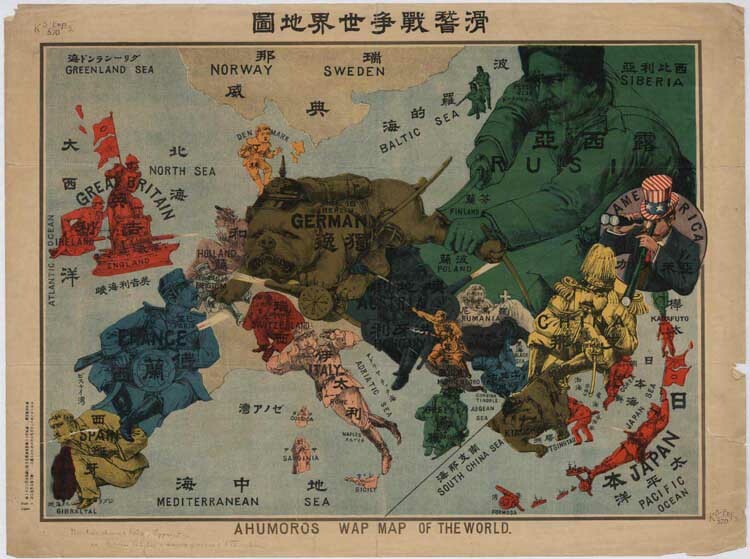 Note also the observing role of America at the bottom right corner, and also in the Japanese map reproduced above. 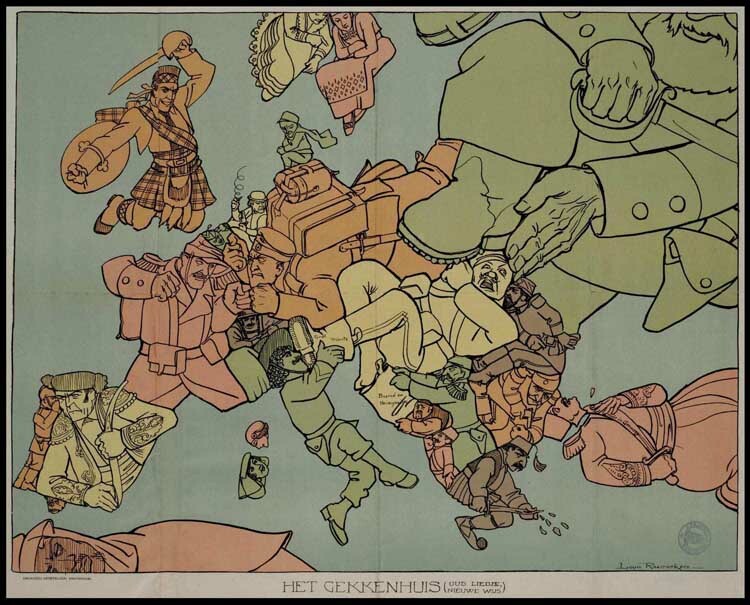 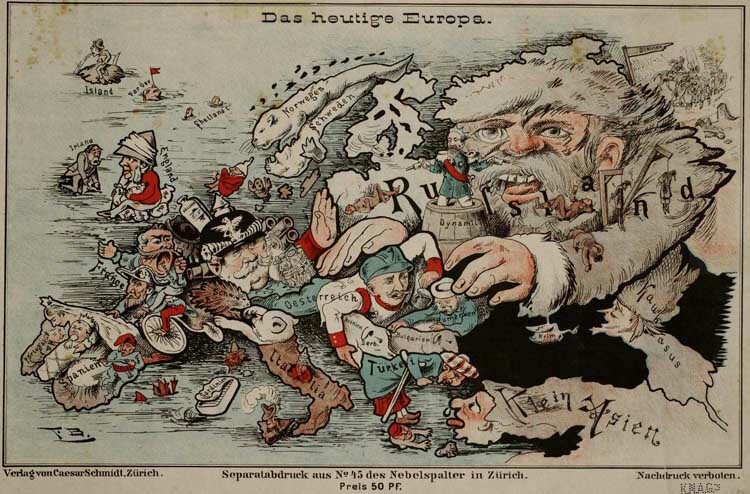 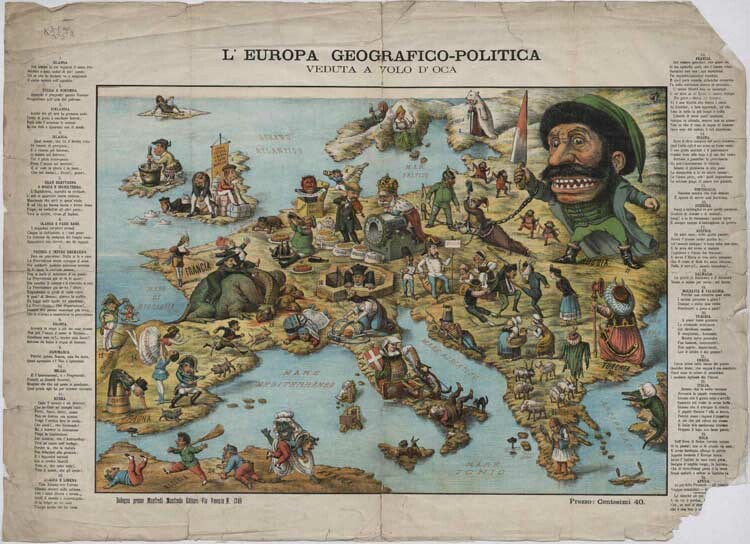 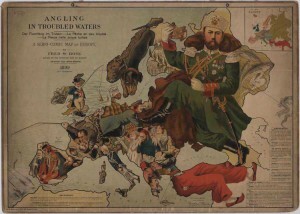 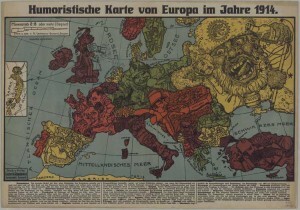 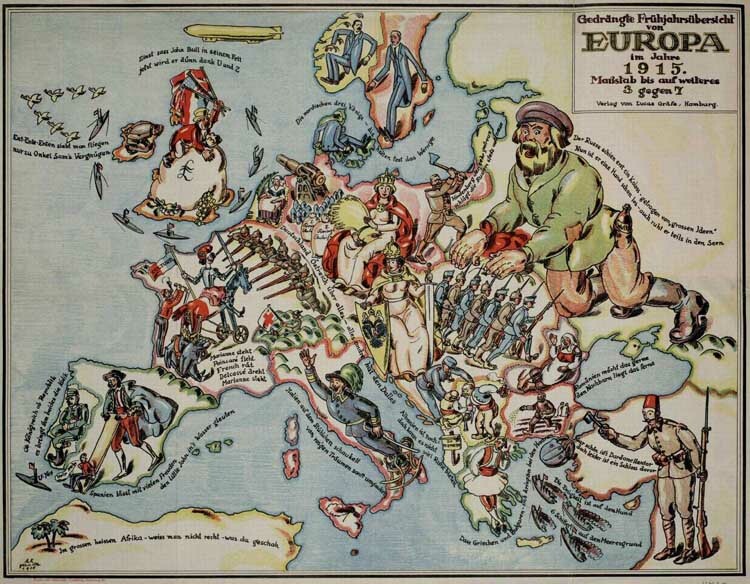 In some cases, one satirical map reflects on the propaganda views of another. 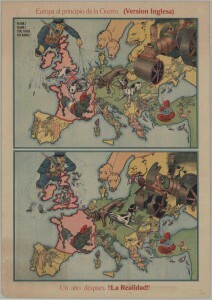 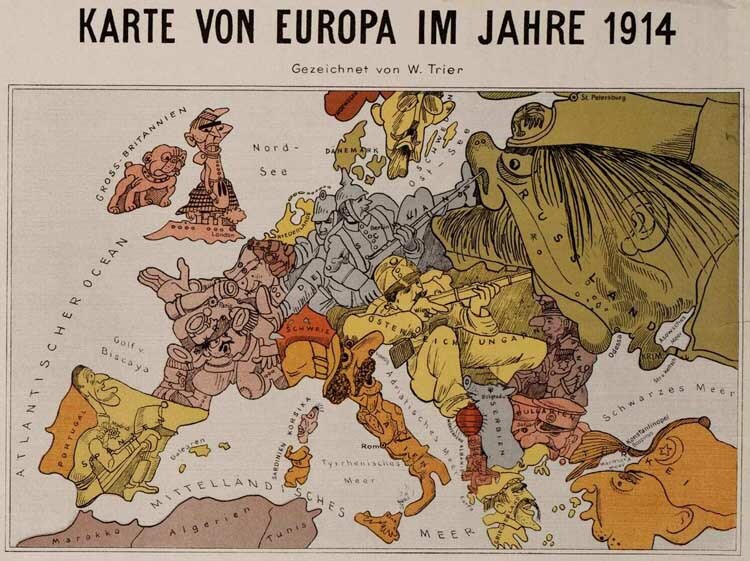 For example, the Spanish-language map made in 1915 (reproduced above) incorporates as its top half an earlier British map made in the previous year (see the image on the left). 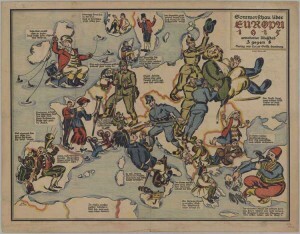 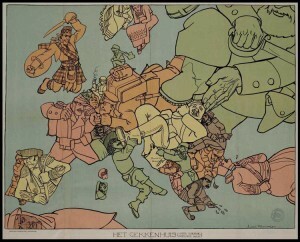 The English map is said to represent the British view of Europe at the beginning of the war, while the Spanish addition in the bottom part of the image indicates the British disappointment with the turn of events a year later, when “the reality” sets in.